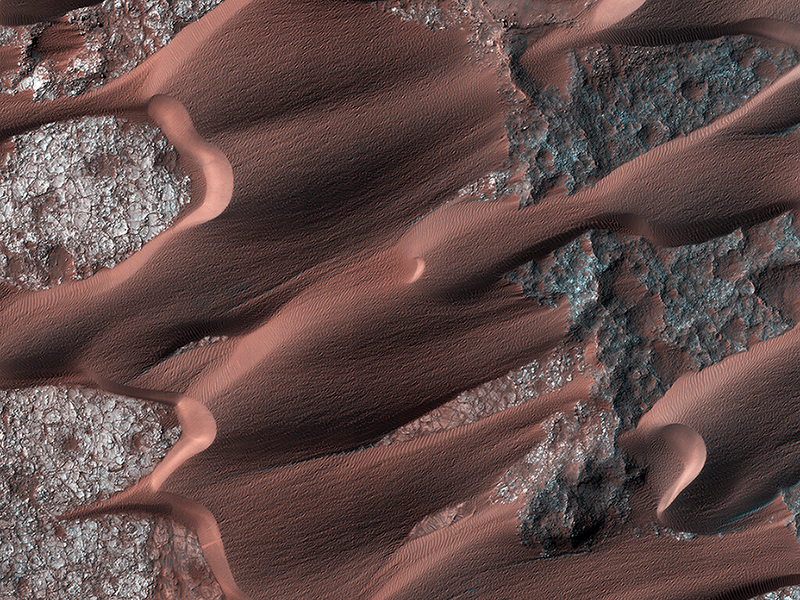 Nili Patera is one of the most active dune fields on Mars. As such, it is continuously monitored with HiRISE, with a new image acquired about every six weeks. By monitoring the sand dune changes, we can determine how winds vary seasonally and year-to-year. This observation is one of the more recent Nili images (1 March 2014). Compared to an image acquired on 22 November 2012, changes are obvious. 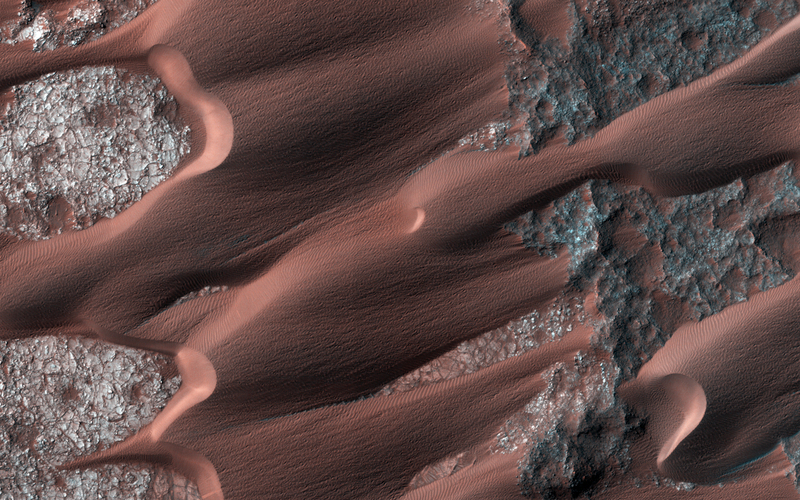 The ripples on the dunes have moved, as well some of the dune boundaries, such as the one at upper left. New landslides on the central dune’s lee face are apparent. Such changes, in just 16 months (and finer scale changes have been seen in just a couple of weeks), demonstrate the effectiveness of wind in modifying the Martian landscape.